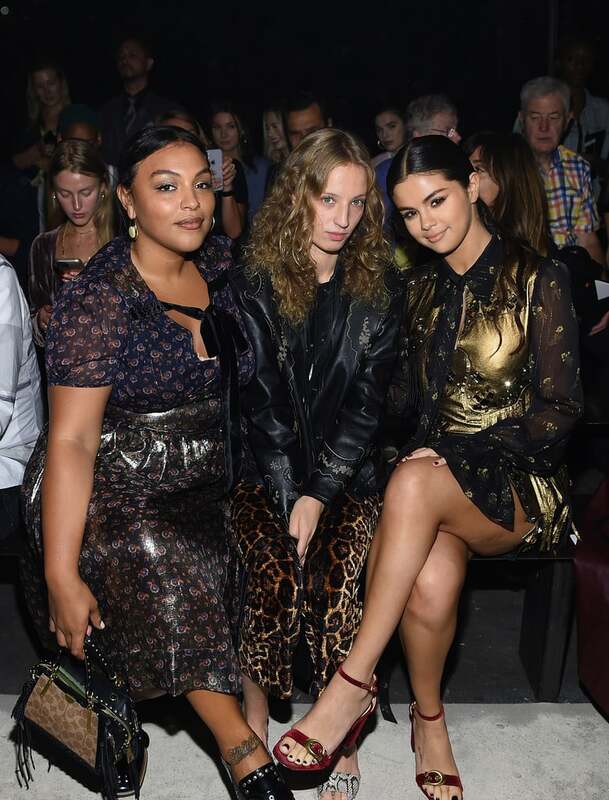 As a Coach ambassador and muse, Selena Gomez wasn't just going to wear any ol' outfit for the brand's Spring 2019 show. The 26-year-old star knew she had to dress to impress for Coach Creative Director Stuart Vevers's runway show at New York Fashion Week, and boy, did she deliver! Selena wore a gold dress with so many intricate details, we nearly busted out our magnifying glasses to inspect them in all their glory. 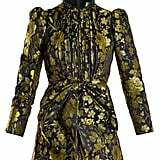 Her metallic minidress — a Coach number she designed herself for her collaborative collection with the brand — was not only covered in fringe and jeweled studs, but it also featured a sheer black collar, a bow, and long sleeves, all of which were adorned with a teeny-tiny floral print that you could only notice from up close. Her glimmering ensemble shone bright as she watched models strut down the runway from the front row. Selena let her ornate dress speak for itself, simply styling it with a pair of maroon sandals with a golden buckle strap to match. Ahead, admire her front-row outfit at the Coach show, and keep reading to shop similar styles for yourself.